No School? Come have a blast at camp! Bring out your child’s inner all-star! 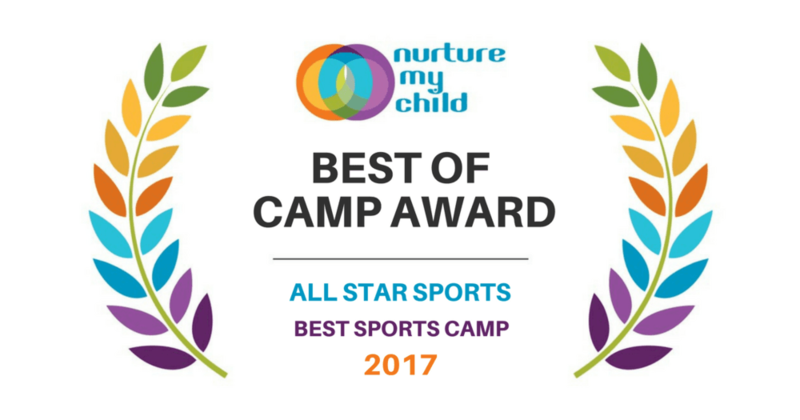 All-Star Sports Camp gives campers the opportunity to learn teamwork and sportsmanship through a variety of fun team-based games & activities. Under the guidance of trained coaching staff, your child will be able to develop their athletic skills, discover new interests, and make lots of friends during their time at camp! Soccer, Kickball, Basketball, Flag-Football, Capture the Flag, Arts & Crafts, Ultimate Frisbee, Dodgeball, Bounce House, Volleyball, Whiffle Ball, Obstacle Course, Splash Day, and More! Activities vary slightly between locations. Your child will be under the supervision of coaches and other SoccerZone staff to ensure their safety every day of camp. If your child has special health or dietary concerns, please let us know when you register. We partner with local restaurants to give our full-day campers lunches they’ll love. In the past, we’ve had food from places like Domino’s, Chick-fil-A, Kerbey Lane, Wing Stop, Houlihan’s, Raising Cane’s, Schlotzsky’s, and Rudy’s BBQ. We frequently offer discounts for siblings and multiple-week registrations. To inquire about these discounts, or to redeem a coupon, please sign up by phone or in person at your chosen SoccerZone facility. We offer late pick-up and early drop-off for $5/day each. In enrolling for camp, participants agree to attend programs and use facilities at their own risk, grant authority to the staff at SoccerZone to render a judgement concerning medical assistance or hospital care in the event of an accident or illness during the parent’s/guardian’s absence, and authorize SoccerZone to utilize any and all photographs, pictures or other likenesses as they deem appropriate in its promotional materials or team films. All-Star Sports Camp can be found in South Austin, Cedar Park, Live Oak, and West San Antonio.